The Watson school campus contains two WPA structures: a school building and a teacherage. 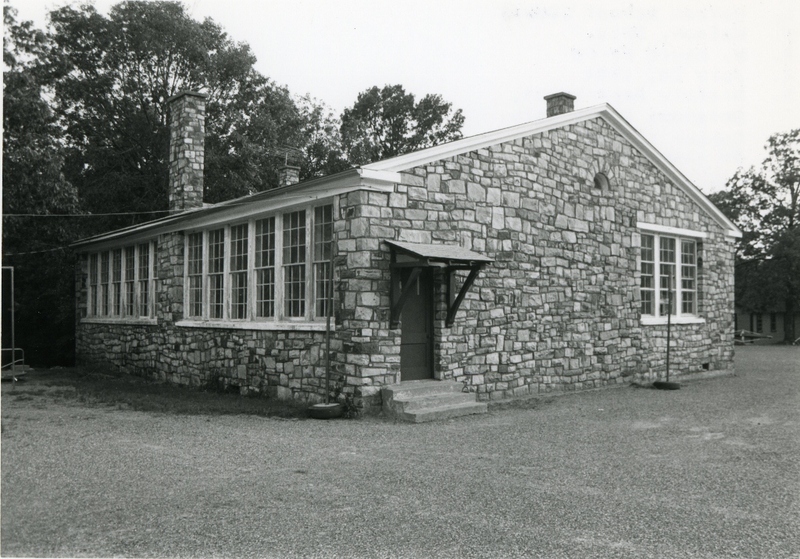 A three classroom building, the Watson school is a single story, rectangular (55’x 40′) structure constructed of lightly tooled and barely coursed native sandstone. Covered with composition shingles, the gabled roof is intersected by a frontal gable, the latter asymetrically placed over an arched entryway with recessed double doors. Wood sash classroom windows with concrete sills reach to the eaves. The building is well maintained. A small rock addition on the south rear hardly impeaches the architectural integrity of the building. 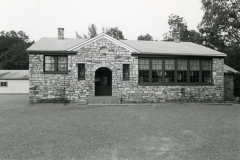 The Watson teacherage is located some 100 feet west of the school building. 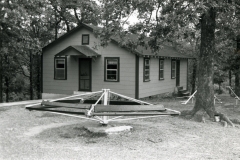 Measuring 22 feet by 31 feet, it is a single story, wood frame structure with clapboard siding and a gable roof. A small porch with a gable roof covers the front door. Windows are wood sash. Shotgun in style, the teacherage has recently been covered with new siding. The latter, however, does not impeach the integrity of the building. 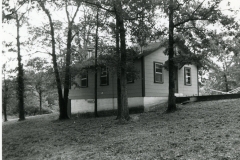 The Watson school campus is one of the most attractive in southeastern Oklahoma. 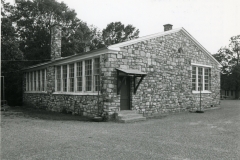 The WPA buildings are significant because construction of them provided work opportunities for unskilled and unemployed agricultural laborers situated far distant from any economic activity. 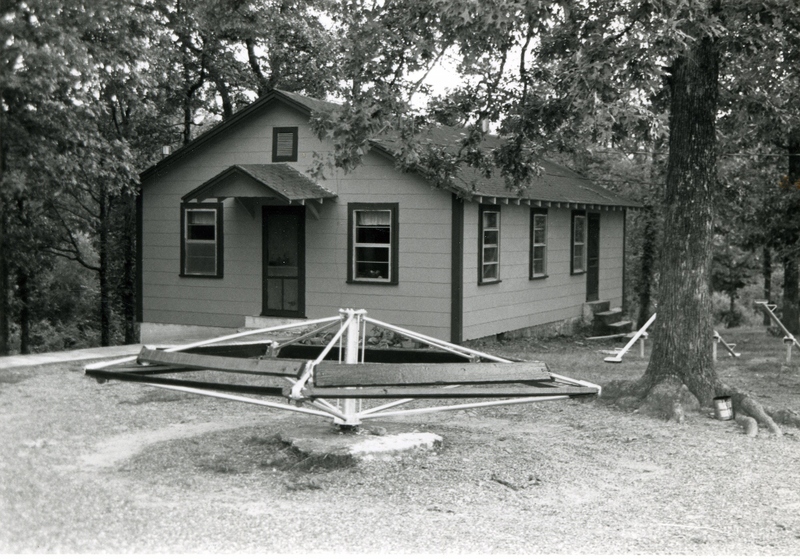 It is notable that the buildings still house the educational activities of the community, suggesting the importance of the WPA structures in promoting learning in the Watson area. They are unique architecturally because of type, style, scale, materials and workmanship.